Happy New two thousand twelfth! For me this year brought significant changes, and I hope they're for the better. 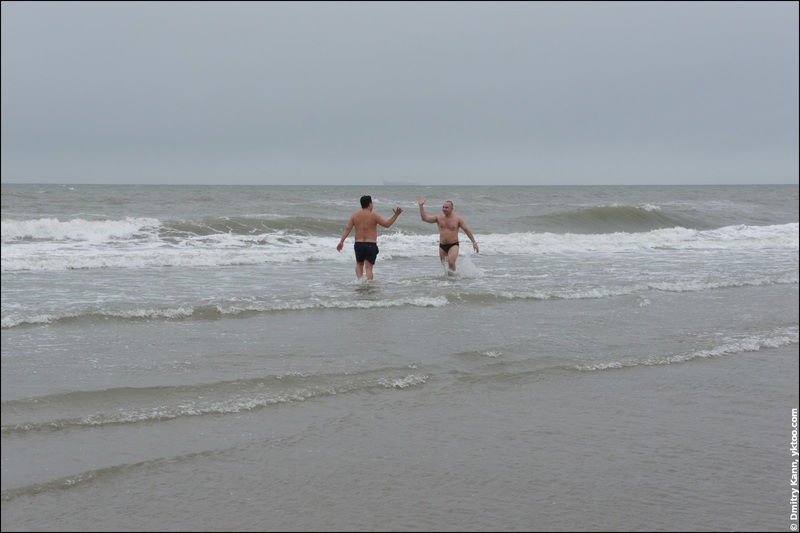 For the first time I finally partook in the Nieuwjaarsduik, "New Year's dive". This annual event is organized nation-wide by Unox since 1960. 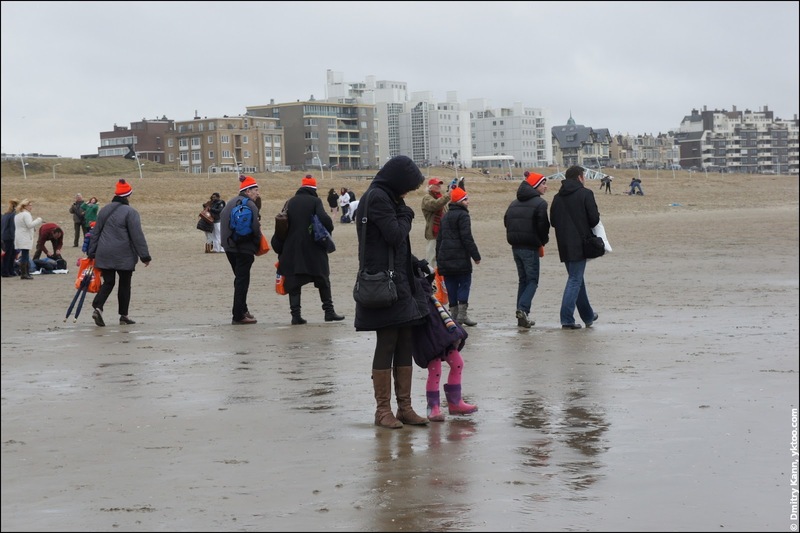 In 2012 it was held in 89 locations and attracted record 36 000 people, thanks to air's temperature of +12° C.
The main location for this "polar bear plunge" is Scheveningen pier in the Hague. We departed on time, so did we arrive. But finding a parking spot was a challenge, so we had to move to the port area and walk back from there. It took us about half an hour. People in orange Unox caps were walking in the opposite direction. 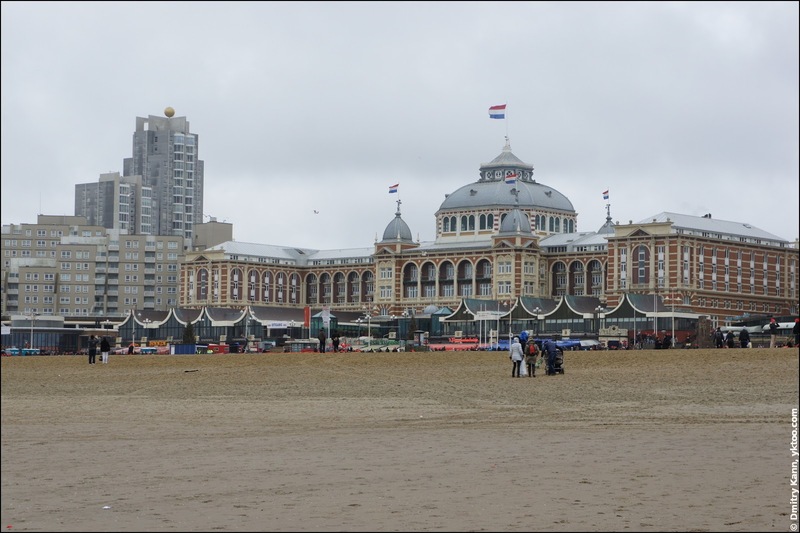 The number of participants in Scheveningen was limited to ten thousand, and, since we were late, we couldn't buy a ticket anymore. On the other hand, the sea is the same everywhere, so I joined other people plunging outside of the fence. The wind on the coast was simply unbearable. 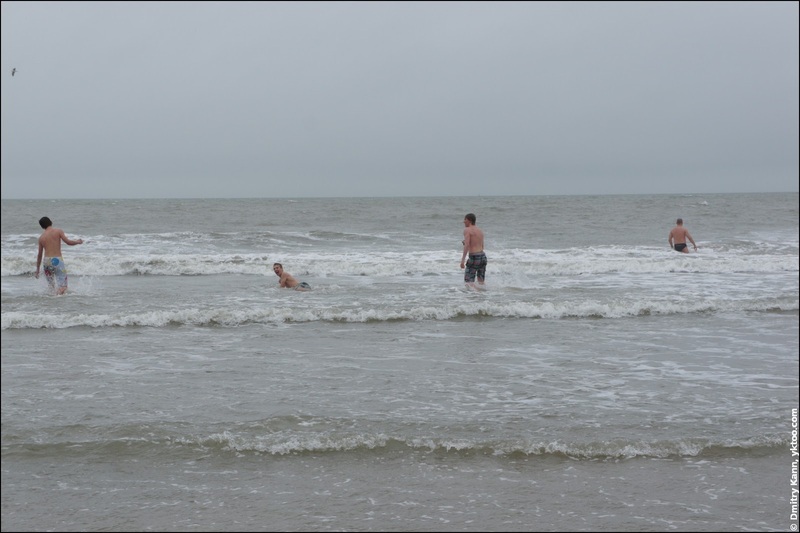 Remarkably enough, the ice cold water (5-6° C) felt warmer than the air. I could resist the temptation to have a swim twice. Supporters hung around, cheering, in their coats and caps.